Get in touch with us by filling out the form below with your inquiry. One of our helpful associates will get back with you shortly. While you wait, you can check out our FAQ page to get answers to some of our most commonly asked questions. Thanks! 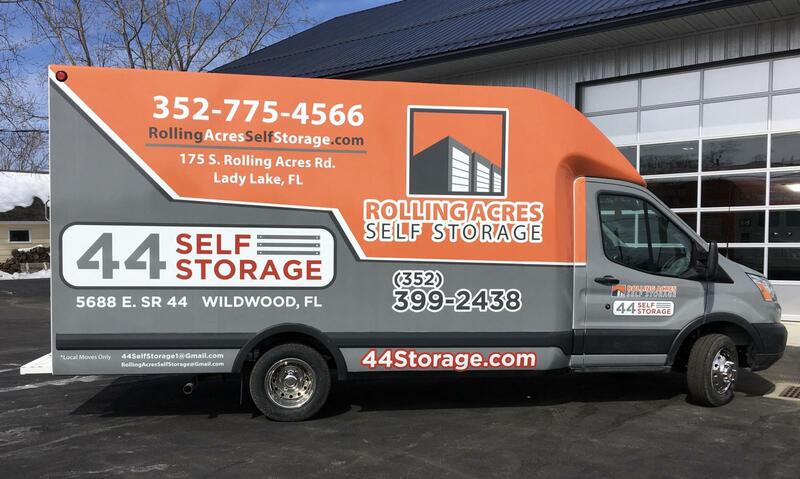 As a locally owned and operated self storage facility in Lady Lake, Florida, Rolling Acres Self Storage is ready to help you find that extra space you’ve been looking for. Our facility is brand new, clean, and up-to-date with all the features and amenities you could need, including a 24-hour rental kiosk. Our professionally trained team is always willing to go above and beyond to get you anything and everything to complete your project. Come by and check out our facility, located in Lady Lake minutes from anywhere in The Villages and Fruitland Park. We’ll be happy to help you out!